Is your babies hair growing in slowly? 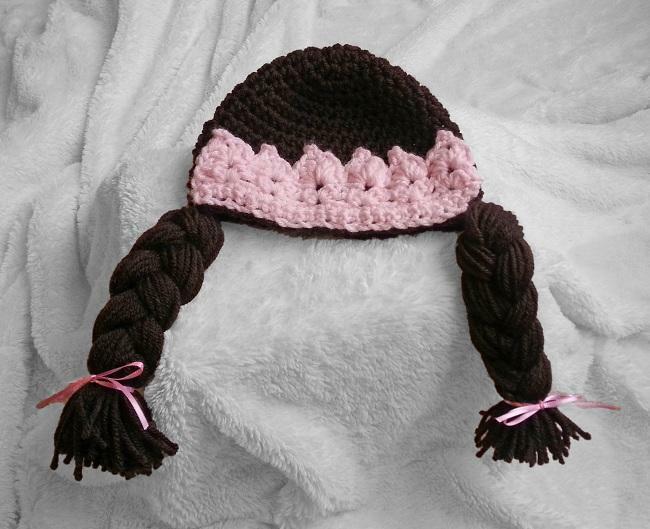 Then this cute handmade crochet beanie inspired by the hair of cabbage patch dolls is just for you. Made in super soft baby yarn for the utmost comfort. Adorned with a pale pink crown and two pig tail braids. Makes for a fun and unique baby gift as well as a charming photo prop! If you would like a custom design just for you please don't hesitate to ask. If you'd rather have bangs instead of the crown just let me know. You may choose any color from the fifth image of this listing for the crown. 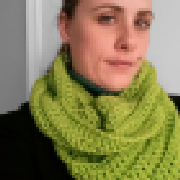 I'm not able to add a second color option so just list your choice in the comments to seller when you place your order. I craft each item carefully to ensure quality. All my designs are unique and made to stand out. I hope parents are able to capture this brief time in the life of their child with my items. So get out your camera and snap plenty of pictures of your little one wearing your special purchases. And hang onto them as keepsakes as your child grows; maybe even passing them along to new generations. This is a rough estimate of size. For a more accurate fit please measure your childs head just above the eyes. Items are made to order. Each item takes 2-3 days to produce. Depending on my work load it may take up to two weeks before shipping. If you need it sooner let me know and I can usually accommodate that. Made in a smoke-free environment. Hand wash and lay flat to dry. I do have pets so if allergies are a concern I recommend washing it before it is worn.